With samples of simple hammers being created from stones and animal bones found in Ethiopia dating back to 2,600,000BC, and with stories such as Thor and his hammer Mjölnir, it is no surprise that over time the hammer has evolved into one of the most diverse and varied tools on the market. 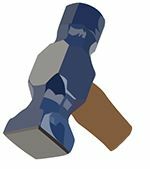 With everything from the widely used Claw Hammer to the tiny jewellers hammers every application has a hammer made specifically for the job, however with all these different available options it can sometimes be hard to decide which hammer is best for the job. Ball Pein Hammers are used for striking metal objects and driving nails, generally they have a flat striking face and a ball the other end to round off rivets etc. 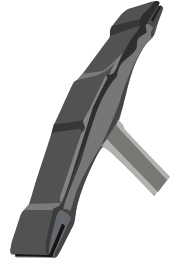 Joiners Hammers are used for driving nails and pins. 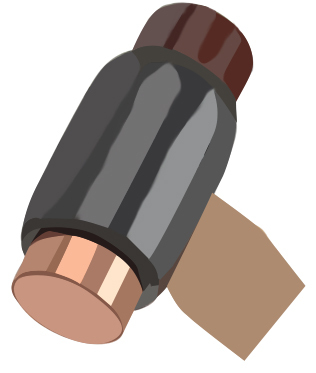 They have a cross pein one end to start the nail, and the hammer can then be reversed to drive the nail home. 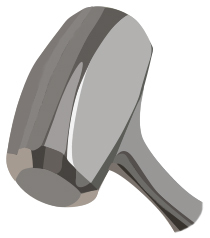 Claw Hammers are the most common type of hammer. 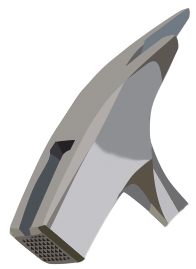 They have a flat striking face for nails and a claw the other end for removing nails. 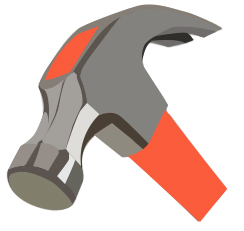 The best claw hammers will grip, even if the head of the nail is damaged. 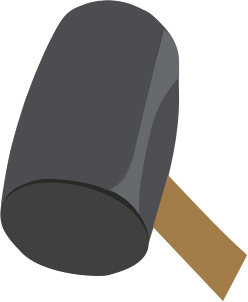 Club Hammers are square headed stubby hammers, usually with a 10in handle. They are used for heavy hammering where lots of power is required. Are ideal for use with cold chisels, bolsters etc. 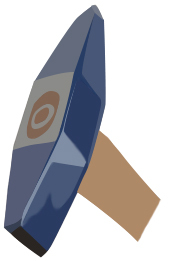 Sledge Hammers are long handled heavier versions of club hammers. They are used for demolition and when an extremely heavy blow is required. 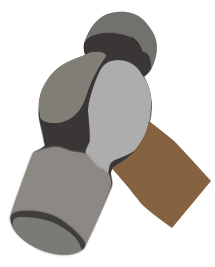 Brick & Mortar Hammers have a head approx. 24oz. The square striking face used for tapping bricks into place and the sharp chisel used to shape bricks. 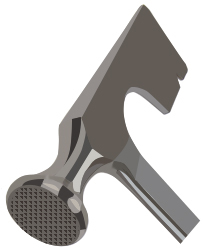 Scutch Hammers are used for cutting brings and removing mortar. They can be single or double scutch, single scutch has one striking end and one for combs, double has no striking face. Roofers & Slaters Hammer have a striking head for nails and the reverse is spiked for making holes in slates and removing nails. 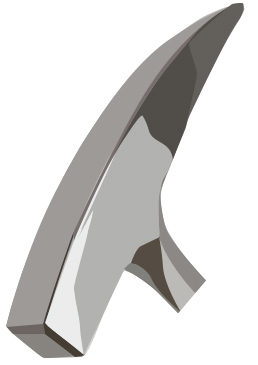 Scaling Hammers are used for the removal of scale and hard foul. 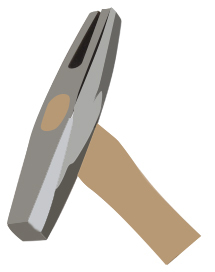 Blocking and Planishing Hammers have one round one square face and are used for shaping metal. 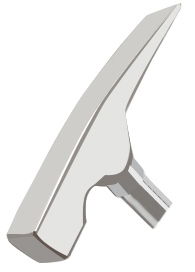 Drywall Hammers are designed specifically for drywall installation. They have milled faces and an axe-style cutting blade for fast, rough cutting holes. They may also feature a convenient nail puller in the blade. 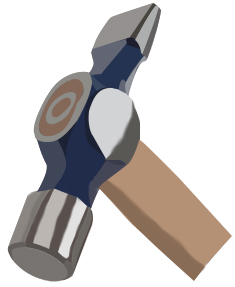 Deadblow Hammers are designed to avoid recoil. 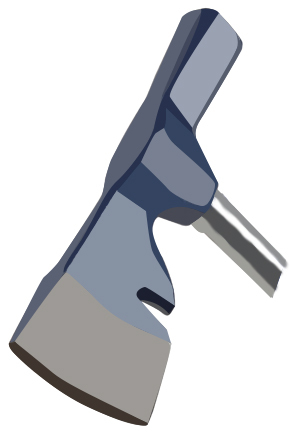 The head is filled to half capacity with metal shot, when the hammer is swung the metal is at the back and as it hits the object it is forced forward, this sustains the blow and prevents recoil. Geologists Hammers are square section hammers with a chisel at one end for the taking of rock samples. Lath Hammers are shaped like an axe, they have a striking end of driving nails and the axe shaped end can be used for cutting lath. Copper & Hide Nylon & Plastic Aluminium and Rubber & Soft Hammers are all used when striking metal which could be easily damaged by being struck with a conventional steel hammer. Tack, Jewellers & Upholstery Hammers are tiny hammers shaped like a ball pein for light, intricate work such as telephone pins. 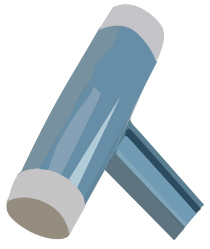 Mallets can be made from wood or rubber. They are used when a metal hammer would cause damage to the work piece being struck.